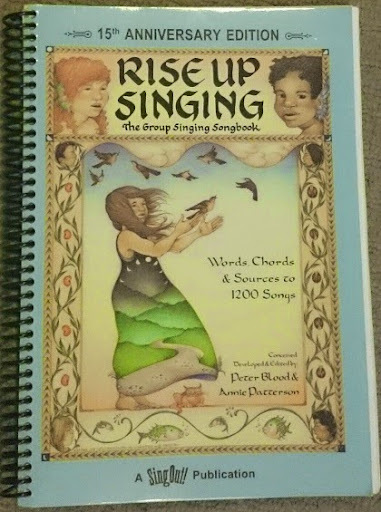 Most choir or chorus performances involve some combination of singers and musicians as well as a director. Sometimes this is simple to organise: your accompaniment is simply a piano or keyboard, and there is a good-enough one already available at the location. But sometimes it's a little more complicated than that. 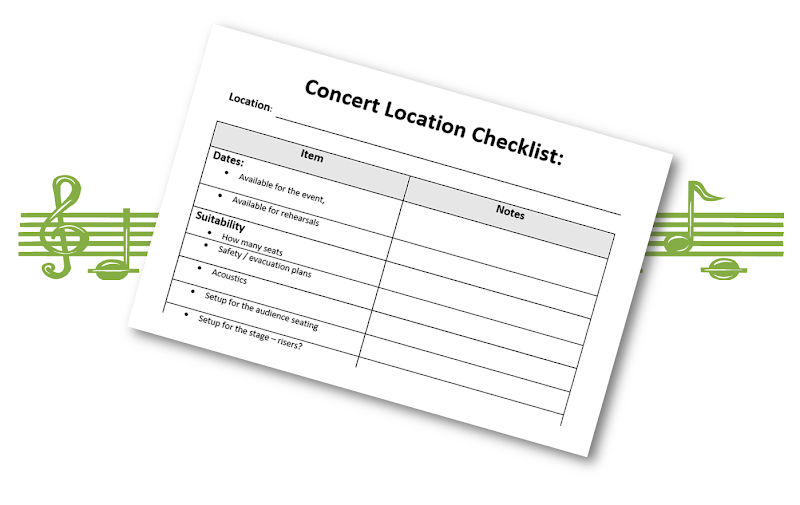 This check-sheet lists things to consider when you are looking at a possible concert or performance location - so you don't come away having forgotten some important details. Click the Word icon to a blank version of the form, which you can download and edit in Microsoft Word format. Click the PDF icon to a blank version of the form, which you can print. Click the Google icon to open a new version of the template in Google Docs: you need to be signed in to a Google account for this to work. Is there stage lighting for the performers to be seen.